With Uncle Sam tightening its immigration policy more than ever before, US visa application can be a nerve-racking experience, especially for first-timers. It’s not unusual to hear about applicants who entered the US Embassy oozing with confidence only to come out later with the bad news of rejection. No less than President Rodrigo Duterte can share his own horror story of having his US visa application rejected. US visa is, without a doubt, one of the most difficult to obtain among the foreign visas. But is there a way to increase your chances of getting approved? 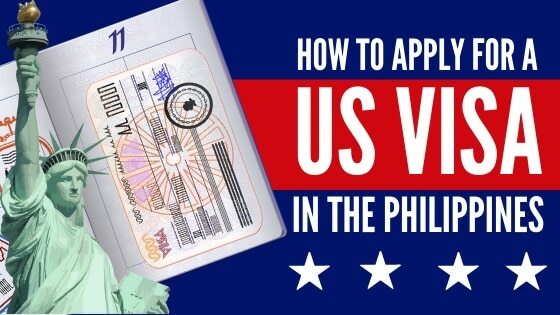 How to Apply for a US Visa in the Philippines in 8 Steps. 1. Identify the appropriate visa for the purpose of your trip. h. Journalist and Media Visa. i. Treaty Investors and Traders Visa. 2. Check if you’re qualified to apply for your chosen US visa. 3. Know the US visa application requirements. Other Supporting Documents (According to US Visa type). 4. 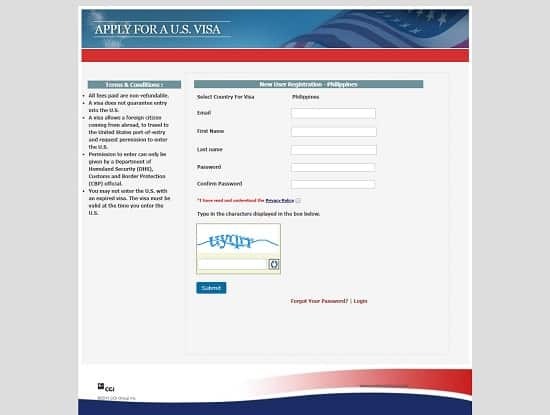 Fill out the US visa online application form. 5. Pay the US visa application fee. 6. Schedule an appointment with the US Embassy for your visa interview. Option 2: Over the Phone. 7. Show up at the US Embassy on the date and time of your interview. 8. Wait for your passport to be released. Anyone who wants to go to the US either temporarily (for work/pleasure) or permanently as an immigrant is required to obtain a US visa. A visa isn’t like your Philippine passport with multiple pages. Rather, it’s an endorsement placed within your passport which proves you can enter, leave, or stay in a foreign country for a specified period of time. It should be noted that citizens from countries that participate in the Visa Waiver Program can travel to the US visa-free. Unfortunately, the Philippines is not one of them. And for a good reason. Filipinos with short-term visas have been notorious for overstaying and eventually seeking employment in the US illegally, so much so that we have a colloquial term for them–TNT which is short for “tago ng tago” or constantly hiding from immigration authorities. US visa is a way for Americans to protect their country not just from illegal immigrants but also from threats of terrorism, human trafficking, and the likes. If the US Embassy is extremely selective when screening applicants, it’s only because of a lot of Filipinos in the past who betrayed them. Therefore, Filipinos with an ulterior motive when applying for a US visa must be warned: the US Embassy is always ready to deny your application at the slightest chance they get. There are different types of US visa. For your application to become successful, ensure that you’re applying for a US visa that aligns with your purpose of traveling to the US. There’s no point of applying for a tourist visa when the purpose of your trip is to study and possibly get permanent employment in the US. In general, US visa has two types: Immigrant visa and Nonimmigrant visa. Immigrant visas are granted to those who intend to live permanently in the United States. To apply for this visa, an employer or a family member who is already a US resident or citizen must first submit a petition to the US Embassy or the US Citizenship & Immigration Service (USCIS) on your behalf. Once granted, you can use the visa to stay in the US as a Legal Permanent Resident and eventually acquire US citizenship. By contrast, nonimmigrant visas are issued to specialty workers, tourists, students, and business people who are planning to stay in the United States for a limited period of time. B-1 and B-2 visas are granted to foreigners who are visiting the United States temporarily. B-1 is for those who are going on a business trip (e.g., attending conventions/conferences, consulting with business associates, negotiating contracts, etc.). B-2, on the other hand, refers to the “tourist visa” given to those coming to the US for a vacation, family reunion, medical treatment, etc. While B-1 and B-2 visas differ in terms of purpose, they’re combined and issued as one visa, also known as the B-1/B-2 visa. A work visa is intended for those who have been petitioned by an employer or agent to work in the United States temporarily. Q (people who are participating in an international cultural exchange program). As the name suggests, a student visa is issued to Filipinos who have been approved to study in a legitimate educational institution in the United States. F-1 visa, for those who are pursuing academic studies. M-1 visa, designed for those who wish to engage in non-academic or vocational study/training. 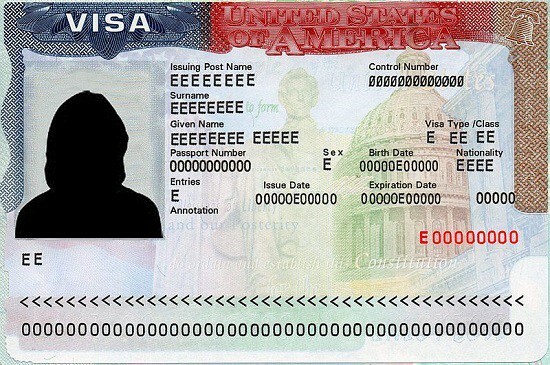 Also known as J visa, this type of US visa is given to those who have been accepted and approved to participate in exchange programs in the US. An exchange program is designed to promote the interchange of persons, knowledge, and skills in the fields of arts, sciences, and education. Aside from the principal visa holder (J-1 visa), dependents who wish to accompany him/her for the duration of the trip may also apply for a J-2 visa. The transit or C visa is used whenever you’re passing through the United States en route to another country. It’s like a tourist visa except that you’re only allowed to stay in the US for a relatively shorter period of time. 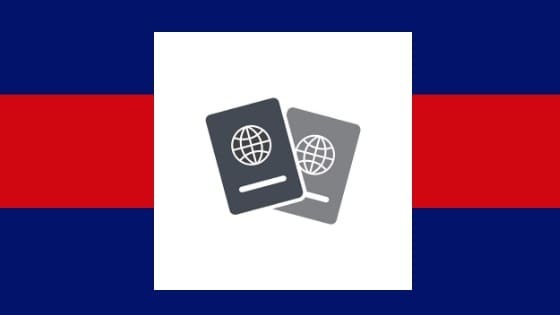 Crew or D visa, meanwhile, is designed for the crew members of a ship or an aircraft who will likewise transit or pass through the United States. In most cases, the crew members use a combination of transit/crew visa (C-1/D). Should they wish to spend more time in the US for vacation or during time-off between flights/cruises, they have to apply for both transit/ship crew visa and the B-1/B-2 visa. A religious worker who belongs to a recognized religious group or organization may apply for this visa (also known as R visa) to stay in the US temporarily. The visa will allow the religious worker to conduct religious worship and other activities within the limits of his/her occupation. A domestic employee is defined as a personal or domestic servant who is accompanying or following an employer to the United States. In this case, the Filipino worker may be eligible for a B-1 visa, regardless of whether the employer is an American citizen or not. If the employer is a government official or a foreign diplomat, the domestic employee may qualify for an A-3 or G-5 visa, depending on the employer’s visa status. Domestic employees include, but not limited to, nannies, au pairs, valets, chauffeurs, cooks, butlers, housemaids, footmen, gardeners, paid companions, etc. 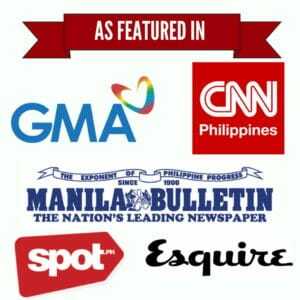 The media or I visa is for Filipino reporters or representatives of local media who want to travel to the US temporarily to cover news or engage in activities related to their profession. Because the Philippines is one of the countries that maintain a treaty of commerce and navigation with the United States, Filipinos can travel to the US with an E-1 (Treaty Trader) or E-2 (Treaty Investor) visa. This visa will allow you to come to the US to invest capital, develop and direct operations of an enterprise you’ve invested in, or carry on substantial trade (including trade in services or technology). Before getting an appointment with the US Embassy, ensure you have valid reasons for applying for the type of visa you’re aiming for. The embassy official who will conduct the interview will scrutinize your application and can reject it if you’re unable to prove you have the necessary qualifications. From this point on, we’re going to focus on the more popular nonimmigrant US visas. If you want to know the qualifications and requirements for the immigrant visa, please refer to this guide. a. For Business/Tourist Visa: You must prove to the consular officer that you intend to visit the US for a limited period of time by showing proof of funds to cover your travel expenses and solid ties to the Philippines like properties, business, or employment. b. For Work Visa: To qualify for a work visa, your employer or agent must first file a Petition for Nonimmigrant Worker on your behalf. The petition or Form I-129 must be approved by the US Citizenship and Immigration Services (USCIS). Upon approval, applicants must present their petition receipt number during the interview at the US Embassy. Take note, however, that having an approved petition doesn’t guarantee visa approval. For a complete list of work visas and their respective qualification requirements, check out this link. c. For Student Visa: F-1 and M-1 visa applicants must prove that they’ve been accepted and approved to study in an accredited educational institution in the United States. Keep in mind, however, that Filipinos (and other foreigners) are prohibited by US law to study in a public elementary school (from kindergarten to 8th grade) or a public adult education program. For more information about US student visas, visit Education USA. d. For Exchange Visitor Visa: To apply for this visa, Filipinos must first be accepted by an educational institution or a program sponsor in the US who will then provide the applicant with the necessary documents needed for the visa application. Exchange visitor visa applicants can be one of the following: students, on-the-job trainees, teachers, professors, research scholars, professional trainees (medical and allied fields), etc. e. For Transit/Ship Crew Visa: To get approved for this visa, you must prove to the consular officer your intention by showing the following: proof of funds to support your transit journey, permission to enter your destination country, and the ticket or other documents that will prove you’re en route to the said destination. f. For Religious Worker Visa: Filipinos who are interested to apply for this visa must be a member of a tax-exempted nonprofit religious organization (or its affiliate) recognized by the US. You must be a member of the denomination for at least 2 years prior to visa application. If you’ve previously spent five years in this category, you must show to the consular officer that you reside or physically present in the Philippines for the immediate prior year. 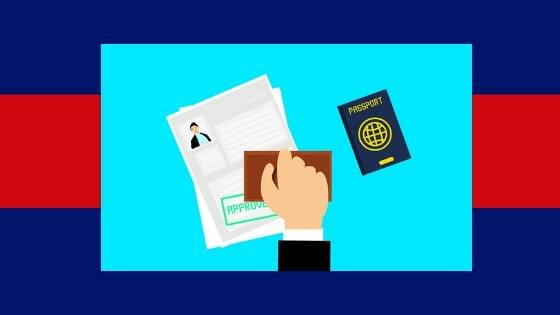 g. For Domestic Employee Visa: As an applicant, you must prove to the consular officer that you have compelling ties to the Philippines and that you intend to go back to your home country once your contract expires. You must also secure an employment contract signed by you and your employer. 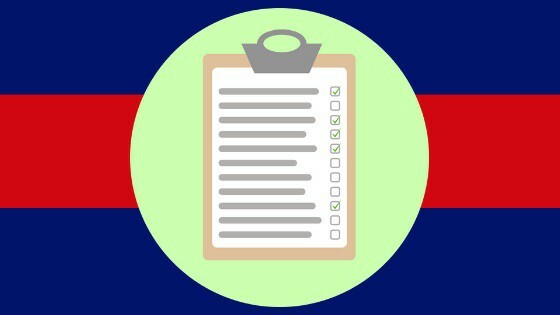 For a complete list of qualifications for a domestic employee accompanying a US citizen or a non-US citizen, please refer to this checklist. h. For Journalist and Media Visa: To qualify for this visa, you must be a representative (e.g., reporter, editor, film crew, etc.) of a local media and the activity you’ll be doing in the US should be informational in nature like news gathering and reporting. If you have a spouse or unmarried children less than 21 years old who wish to accompany you on the trip, they may apply for a derivative I visa. Freelance journalists may also qualify for the media visa, provided that they are under a contract to a media organization, hold a credential issued by a professional journalistic organization, and the content they’re working on isn’t intended for commercial entertainment/advertising. i. For Treaty Traders and Investors Visa: Click here for a complete list of qualification requirements for E-1 and E-2 visa. The requirements listed here are applicable to nonimmigrant US visa applicants. If you’re applying for an immigrant visa, please go here instead. The consular officer will treat every application as unique. Therefore, the number of requirements that will be requested from you depends on your personal circumstances and the type of US visa you’re applying for. a. Duly accomplished DS-160 Form or Nonimmigrant Visa Electronic Application Form (more on this later). b. A valid Philippine passport. The validity date should be at least 6 months beyond your intended period of stay in the US. c. One 2″x2″ ID photograph which you are required to upload as part of the online application. You should also bring extra copies during the interview in case the consular officer requests for additional ID pictures. Must be recent or taken within the last 6 months. Your eyes must be open and looking straight toward the camera. They should be anywhere between 1-1/8 inches and 1-3/8 inches (28 mm and 35 mm) or about 60% from the bottom of the photo. Must show your head from the top of your hair to the bottom of your chin. Hats, head coverings, and eyeglasses must be removed except if used for religious purposes (hats) or if the eyeglasses can’t be removed for medical reasons, in which case a medical certificate/statement must be provided. The entire head should be at the center of the frame. 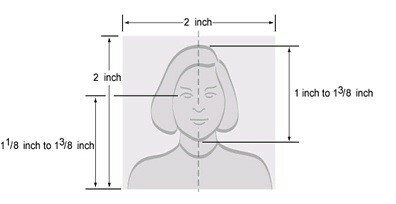 It should measure 1-1-3/8 inches (25 to 35mm), filling between 50% to 70% of the photo. Background must be either white or off-white. It must be uncluttered with no shadows either in the background itself or across the applicant’s face. Your face must show a relaxed and natural expression. Photo must be in color. Black and white photos aren’t accepted. You should wear normal clothing or something you wear on a daily basis. Uniforms and camouflage attire aren’t allowed except for religious attire that is worn every day. d. Receipt showing payment of the USD 160 non-refundable nonimmigrant visa application fee (paid in Philippine pesos). e. Interview appointment letter confirming that you’ve booked an appointment with the US Embassy online. For nonimmigrant US visa applications, supporting documents will provide strong evidence that the applicant intends to go back to the Philippines at the end of the trip. Not all applicants will be required to present these documents. In most cases, all vital information that the consular officer needs are already provided in the application form and by the interview itself. However, supporting documents may not be required only on a case-to-case basis. If your application raises some red flags, the consular officer may request some documents to strengthen your profile. Hence, it’s better to come to the US Embassy fully prepared for the worst. Proof of funds, which will prove to the consular officer that you are financially capable of carrying out the trip; and Proof of strong ties to the country which provides evidence that you’ll go back to the Philippines after the trip and have no intention of overstaying in the US and live there illegally. Certificate of Employment/COE (stating your position, salary, and tenure). Recent payslips (usually for the past 3 months). Income Tax Return (ITR) for the previous year. Business permit or a copy of the official business registration. Bank certificates/Bank statement/Book of the company and Financial Reports from the past 3 months. Tax statements and/or tax paying certificate. c. For students or minors. Certification from the school or educational institution providing the grant (for US student visa), showing the specific details of the scholarship. Sponsorship letter from parents/legal guardians with attached proof of their solvency or financial capability to cover the expenses of the trip. Business permit and other requirements for self-employed, if applicable. Evidence of pension (e.g., receipts). Financial assets and proof of investments. Sponsorship letter with proof of the sponsor’s solvency. Copies of bank statements, bank certificates, and personal credit cards from the past 3 months. f. Additional proof of funds. Especially if you’re a freelancer or self-employed, it doesn’t harm to add a sponsor even if you can afford the trip. This sponsor doesn’t necessarily need to cover your expenses. If anything, he/she can serve that role only on paper. The goal, after all, is to strengthen your application in any means possible. Provide a proof of accommodation by making hotel reservations on websites like Agoda which offer free cancellation. You can also show your return tickets to prove you’re scheduled to go back to your home country after the US trip. Proof of strong ties to the country. Proof of strong ties shows that you have enough and compelling reasons to return to the Philippines after your trip to the United States. The US Embassy use this to prevent the proliferation of illegal immigrants in the United States. Requirements under this category vary depending on the applicant’s financial resources, travel plans or history, and personal circumstances. A letter from you explaining the reasons why you won’t overstay. Scheduled business meeting or company events that you’ll attend upon return, if applicable. Land title and other proof of properties/real estate you own. A letter from you detailing the reasons why you won’t overstay. A letter from you and your parents/legal guardians explaining the reasons why you won’t overstay. A contract/job offer from the company you’ll be working for in the Philippines, if applicable. A letter from you explaining the reasons why you won’t overstay. Valid reasons may include opening a business, enrolling in a school, etc. (with authentic documents to support them). Ensure that all documents you’ll bring are authentic. 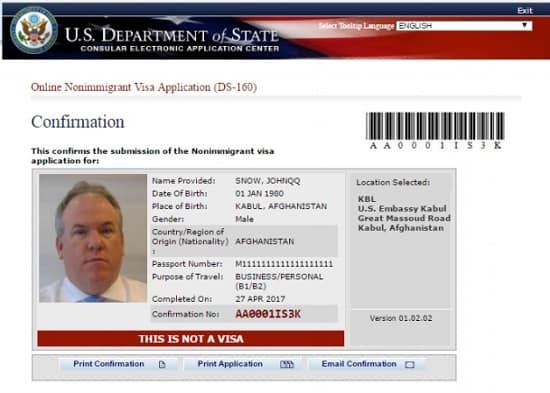 Submitting fake documents will result in permanent ineligibility to apply for a US visa. If confidentiality is a concern, put all documents in a sealed envelope. While you can’t predict which supporting documents will be asked from you, it’s better to bring as many of them as you can to show the consular officer that you didn’t come unprepared. Depending on the type of US visa you’re applying for, you may be required to bring other documents apart from those already mentioned above. 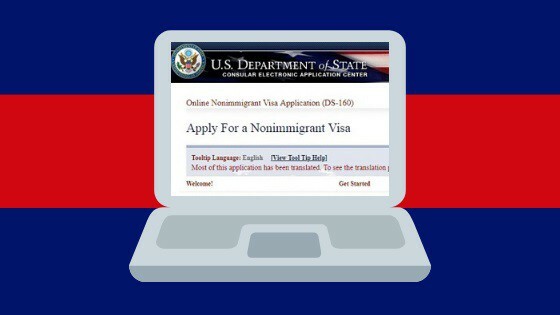 All nonimmigrant US visa applicants regardless of age are required to accomplish and submit a Nonimmigrant Visa Electronic Application (DS-160) form. First, you can’t set up an appointment with the US Embassy without the alphanumeric barcode number which is only generated once you’ve completed the DS-160 form. Lastly, you won’t be allowed to enter the US Embassy for the interview without the printed DS-160 confirmation page. Handwritten or typed applications will not be accepted. I can’t mention enough the importance of the DS-160 form. As a matter of fact, some Filipinos get rejected by providing incomplete or inaccurate information on this form. In case you need help in filling out the form, please consult a translator or an immigration lawyer. If you’re ready to complete the DS-160 form, please follow the procedure below. Prepare the requirements/information that you will need for the completion of the DS-160 form. Other information specific to the US visa you’re applying for. For students and exchange visitors, for example, you will be asked to provide the school address and your SEVIS ID, both of which can be obtained from your I-20 or DS-2019 form. Access the DS-160 form online. To get to the DS-160 form, go to the Consular Electronic Application Center website. In case you’re having difficulty accessing the page, try switching your browser to either Firefox or Internet Explorer. Complete the DS-160 form by providing all requested information. Ensure all your answers are complete, accurate, and written in English. Ensure the photo has the right size and follows the specifications required by the US Embassy. For more information, see step 3 of this guide. Review your application before submitting it. The system will give you an opportunity to review all the information you’ve provided before submitting the form. Make sure that they’re all complete and accurate as you won’t be able to change anything once the DS-160 form has been submitted. If you’re confident about your application, enter your passport number and the captcha code provided. These will serve as your E-Signature. Print your DS-160 confirmation page. All applicants are required to bring the printed confirmation form to the US Embassy during their scheduled interview. The alphanumeric barcode number located on the upper right corner of the page will enable the consular officer to retrieve your DS-160. 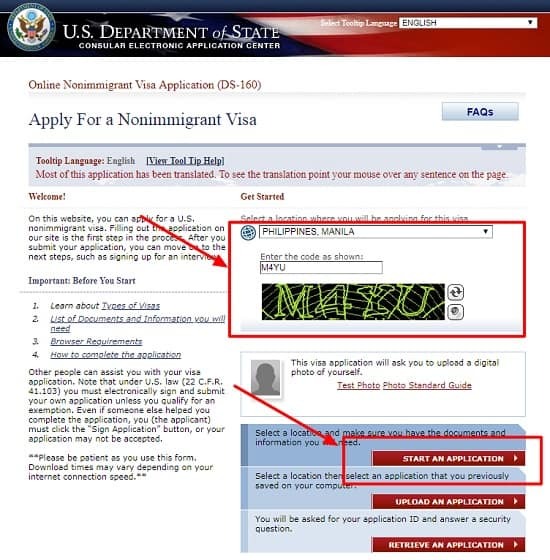 Without this confirmation page, you will not be allowed entry to the US Embassy and your application will be automatically forfeited. It is also recommended to keep a backup copy of your duly accomplished DS-160 form in case things go awry. To secure a copy, simply hit the “Back” button on your browser and then email yourself a copy of the form in PDF format. Only use letters in the English alphabet. Hence, if your name contains “ñ” as in the case of “Niña,” you must spell it using the equivalent letter in the English alphabet (i.e., Nina). While filling out the DS-160 form, always click the “Save” button or download the unfinished form to your computer. Otherwise, you can potentially lose all the data you’ve provided as the page “times out” after 20 minutes of inactivity. Every time you complete a page in the application, it is automatically saved so you don’t have to worry about losing the data when the Internet connection is interrupted. You can also save a partially completed application in case you want to run some errands. To continue where you left off, simply return to the Consular Electronic Application Center website and click “Retrieve an Application.” You will then be asked to enter your application ID number and answer the security question. In case you want to take more time, you can also download your incomplete application to your personal computer. Return to the website within the next 30 days and then select “Upload an Application.” Follow the instructions to resume the application. At this point, you’re only one step away from scheduling an appointment with the US Embassy for your interview. To book an interview, you must first pay a non-refundable, non-transferable Machine Readable Visa application fee (or MRV fee). All US visa applicants are required to pay this fee. This is because the online appointment will ask for the receipt number (proof of payment) before you can move forward. The amount of MRV fee depends on the type of US visa you’re applying for and the current US dollar to peso exchange rate. To view the list of US visa types and their corresponding application fees, please go to this page. As of this writing, the most common types of US nonimmigrant visa like the tourist visa cost $160 whereas petition-based visas like religious and work visas require an application fee of $190. Meanwhile, the most expensive US visas are the K visa (Fiancé(e) or Spouse of US Citizen) and the E visa (Treaty Trader/Investor) with application fees amounting to $265 and $205, respectively. To pay the US visa application fee, you can choose from two modes of payment: Over-the-counter or online transaction. If you choose this method, you can pay the visa application fee in cash at any BPI (Bank of Philippine Islands) branch near you. To make a payment, you need to present a printed copy of your US visa application deposit slip. You can find the deposit slip on this page. Apparently, there’s a unique deposit slip for each application fee. Choose and print the deposit slip that corresponds to the cost of your US visa application fee. The deposit slip is valid for a single transaction. It also has an expiration date so make sure you make the payment before it becomes invalid. In case it expires, you can generate another deposit slip by returning to the page I’ve mentioned and re-clicking the link to the deposit slip. After making the payment, ensure you keep the receipt as you’ll be needing the receipt number to schedule an appointment. For a faster and more convenient way of paying the MRV fee, you can use either the BPI or Bancnet online bill payment services. If you have an account with either of the two, you can quickly pay the fee without going to the bank. Avoid making lump sum payment when paying for your family or a group of applicants. Instead, make the payments individually to generate a unique receipt number for each applicant which is needed to secure an appointment with the US Embassy. Once the payment has been accepted, you’ll then receive an email confirmation which you need to print and bring to the US Embassy on the day of your appointment. After paying the visa application fee, it’s important to know that you can’t schedule an appointment right away. Depending on the mode of payment you used, it may take anywhere between four hours to a whole day before you can make an appointment. For over-the-counter bank transactions, you can already book an appointment/interview after four hours from the time of payment. 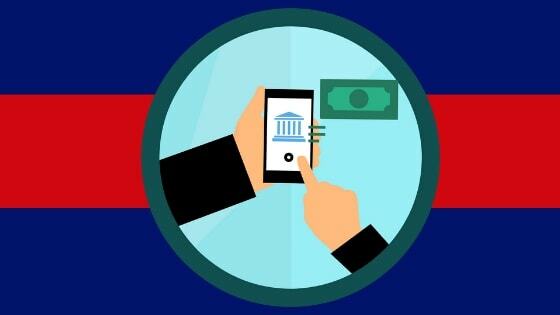 Online payments, on the other hand, may take longer depending on the time of payment and whether you used BPI or Bancnet for the transaction. For online payments made with BPI. For online payments made with Bancnet. After the waiting period has passed, you can now schedule an appointment. There are two ways to secure an appointment with the US Embassy: online via the US Department of State’s Bureau of Consular Affairs website or over the phone with the help of a customer service representative. Once you’re ready, go to the US Department of State’s Bureau of Consular Affairs website and register/create an account. After creating an account, log into the system and click “Schedule Appointment” on the left-hand side menu. On the succeeding pages, you will be asked to provide vital information like the visa type you’re applying for, personal data, DS-160 confirmation number, names of your family members (in case you’re traveling with them), how you prefer to receive the passport, visa payment confirmation, and the appointment schedule. Take note that you can’t book an appointment unless you’ve already paid the visa application fee and completed the DS-160 form. This is also the reason why I’ve included them in the earlier steps. Alternatively, you can ask the assistance of a customer service representative to book an appointment. The call center is available during weekdays, from 8 AM to 8 PM, except during the Philippine and US holidays. You can talk to the agent either in English or Tagalog, whatever is comfortable for you. Web call: If you’re using Firefox, Google Chrome, Safari11 or Opera, you can call directly through your browser by clicking the green button on this page. Skype: Please add ustraveldocs-philippines to your list of Skype contacts. Choose the earliest schedule to avoid getting stuck in traffic and the long queues. 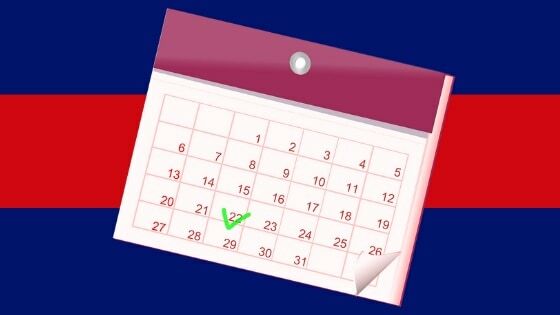 Plan your visa application carefully as you’re only allowed to reschedule twice (excluding the initial appointment). If you cancel your second rescheduling attempt again, you’ll be barred from making a new appointment for the next 90 days. We’ve finally arrived at the most critical part of your US visa application: the dreaded interview. In this section, I’ll give you an idea what to expect on the day of your appointment. For tips and strategies to pass the US visa interview, please refer to this guide where I’ve compiled all the insights from some Filipinos who survived the interview and got their visas approved. Before heading to the US Embassy, make sure you bring all the requirements needed for your US visa application (see step 3 of this guide for the complete list). Arrive at the US Embassy at least 30 minutes before your scheduled interview. If possible, bring a companion with you who will keep your phone, camera, laptop, and other electronic devices, all of which are prohibited inside the Embassy. Upon arrival, you will be subjected to initial security checks. Applicants will fall in line to have their bags and requirements checked by the security personnel. Pre-Screening: In this step, a consular officer may ask you a few questions regarding your application such as the visa type you’re applying for, the purpose of the trip, and personal data like your name, birthday, and marital status. 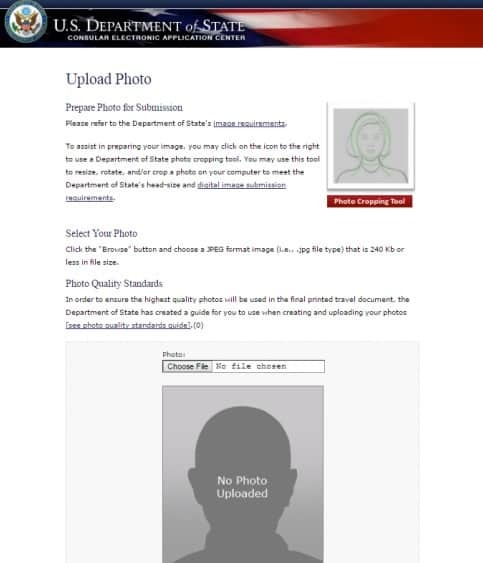 They may also request additional photos so make sure you have extra copies of your ID picture just in case. Fingerprinting: A consular officer assigned in this station may ask you to provide your passport and state your name and birthday. Then, you’ll be instructed to place your fingers on the fingerprint scanner one by one to get your biometrics. Interview: The last step is also the most important one. After waiting for your turn, you will be assigned to an interview window where a consular officer will assess your visa application using your answers to the DS-160 form and the interview questions. On average, the interview may last for a few minutes but it can be relatively quick if you have a strong application. For a list of commonly asked questions during the US visa interview, please go this link. After the interview, you’ll get an immediate feedback whether your US visa application has been approved or denied. For successful applicants, expect your passport to be issued after 5 working days. Passports of approved applicants are released at the chosen 2GO branch. You’ll receive a text message from 2GO once your passport is available for pick-up at the specified 2GO location. In case you’ve changed your mind and want to pick up your passport at another 2GO branch, you only have until midnight on the day of your interview to update the Documentation Delivery Instructions (see step 6). To claim your passport, you need to present a government-issued ID. All applicants, regardless of age, are required to show up at the US Embassy for the visa interview. Minors (17 years old and below, unmarried) must be accompanied by at least one parent or a legal guardian. 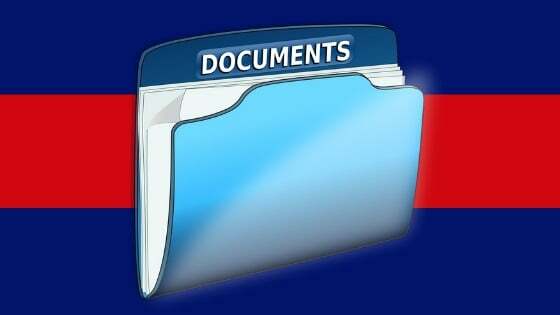 Only bring original, authentic documents. 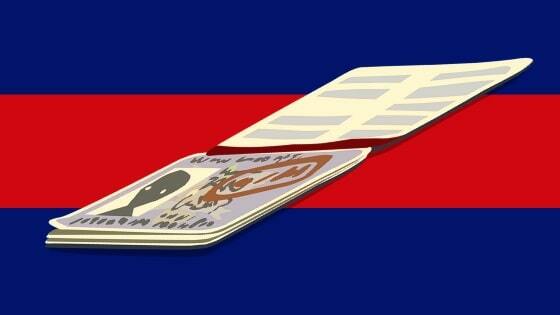 In case of government-issued IDs, make sure they’re valid and not expiring anytime soon. Submitting fake documents will not only get your visa application denied but may also permanently ban you from applying for any US visa in the future. When it comes to submitting documentary requirements, it’s better to overdeliver. While a lot of applicants who got approved can attest that the consular officer didn’t even bother to ask for supporting documents, remember that visa applications are approved on a case-by-case basis. The more requirements you can bring, the better prepared you will be in case the consular officer request for additional evidence to strengthen your application. Filipinos who are well-traveled are more likely to get approved for nonimmigrant US visa compared to those who don’t have extensive travel history. By showing your passport stamps, travel tickets, or bookings, you’re making a positive impression to the consular officer that you always come back to the Philippines every time you travel overseas. Arrive at the US Embassy 15 to 30 minutes before your scheduled interview. Take note that this applies to all applicants, regardless if you picked an earlier schedule or not. It doesn’t make sense to go there at 6 AM when your schedule is still at 9 AM. Remember, they don’t accommodate applicants on a first come, first served basis. The US Embassy prioritizes applicants who have secured an early schedule, not those who arrived at the gate early. You have a better chance of getting your visa application approved if you’re applying with your family, especially if you already have previous travel experiences together. While there’s no concrete explanation for this, it is probably because a family of three or four are less inclined to overstay their welcome, especially if all of them have strong ties to the Philippines.